Release of WeStatiX Cloud Structural Analysis software! We are proud to announce the first release of WeStatiX, our cloud-based software for structural analysis and engineering calculations. 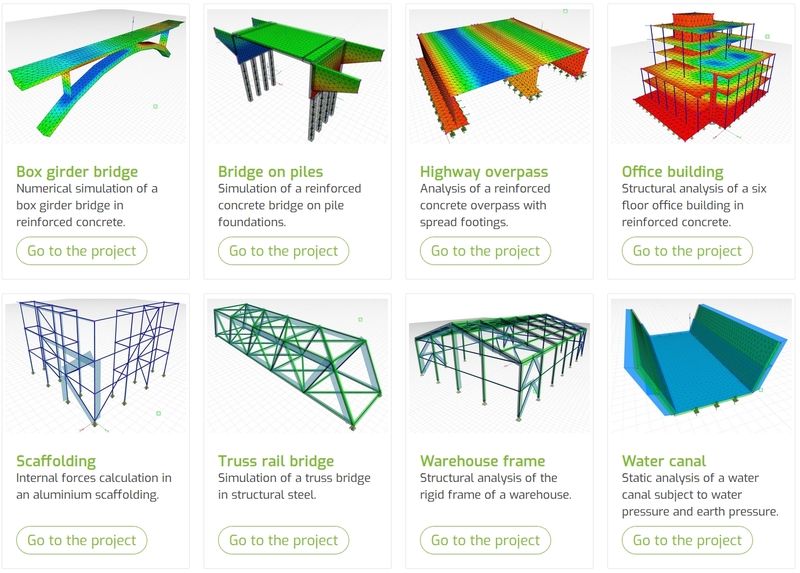 We believe that this web application pushes structural engineering a step forward in the future of simulation and CAE. Cloud-based software, what does it mean? WeStatiX is a very intuitive Finite Element program that runs directly in the web browser, therefore you do not need to install any software. You can access your account and run simulations from any device: from your desktop computer as well as from your smartphone. The analysis runs in the cloud, not on your device, therefore you do not need powerful hardware nor hard disk space. Run the analysis and post-process the results from your favorite web browser! From the WeStatiX platform you can access for free a library of Public Projects, which you can use as templates for your own calculations. Each structural model is ready to be run or to be modified as you wish. Each user can share his projects with the community, get advices and new ideas on possible improvements. Of course, you can also have Private Projects, which will never be accessible by anyone else but you. We take the protection of your data very seriously. “We” in “WeStatiX” refers to you, us, and every engineer, architect and professional that wants to join the WeStatiX community and contribute improve structural analysis and design. Our team believes that sharing our knowledge can lead to a better sustainable progress and advantages for everyone. In line with CAEmate’s company mission, WeStatiX wants to make structural analysis easy and efficient. The approach to a new Finite Element software is usually complex, since the user must dive deep into the program functions. The new user must deal with never-ending function “trees” and understand the meaning of several program icons. Therefore, they need to invests significant time in studying the software documentation. To create a new structure in the 3D web interface, you just need to click (to start a new member or to connect nodes) and to double click (to finish drawing the member). WeStatiX splits the set-up in a sequence of simple operations, such as drawing the geometry, applying supports and loads, or assigning the properties to the model. The software validates the user input in real time. Hence, it is much easier to avoid possible mistakes. The structure model updates in real time. Therefore, the user can go back anytime, make any change and rerun the analysis without wasting time. Check it out and enjoy designing in the web with WeStatiX! This entry was posted in News and tagged 3D CAD, cloud computing, engineering, FEA, Software release, structural analysis, workflow optimization by Max. Bookmark the permalink.